Map of all posts about travel in Panama. Move around, zoom in or out, go full-screen, and click on any icon to see a post synopsis. Panama is not the most foreign place you’ll ever visit. English is widely spoken and the country uses the US dollar as its official currency. Social customs, food, and things like architecture and fashion seem familiar too. This is not surprising given the fact that the US had a decades-long presence in Panama during the building of the Panama Canal, even establishing a “Canal Zone” that was administered as US territory. 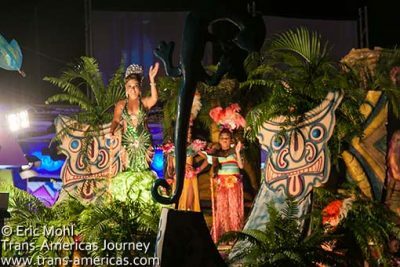 But the country also has jungle, beaches, a fantastic Carnival celebration, and the most sophisticated capital city in Central America all in one tidy package. We spent 215 days exploring Panama and drove 5,336 miles (8,587 km) in this tiny little s-shaped country at the bottom of Central America. Our experiences across the country became nearly 50 posts on our travel blog. Get our overall advice about travel to Panama and a hand-picked selection of must-reads in our Panama Travel Guide. You can’t visit without experiencing Panama’s most famous attraction, the Panama Canal. There are a number of canal-side observation facilities over major locks which you can visit to watch ships transit through. You can also transit through all or part of the Panama Canal itself on a tourist boat. Get a taste of the canal transit experience in our time-lapse video which shows the full Panama Canal tour from ocean to ocean. In Panama City, base yourself in Casco Viejo, the hippest neighborhood in Central America and home to the city’s coolest vibe, best boutique hotels, and compelling bars and restaurants. Bocas del Toro is the place for beacy relaxation. We spent weeks in this archipelago of islands to produce a two-part travel guide to Bocas (as everyone calls it). Our two favorite luxury boutique hotels in Panama are very different. Tantalo Hotel has hip mastered while the all-apartments Las Clementinas offers elegance and space. Add to that the recent opening of the first W Hotel in Central America in Panama City, the reincarnation of Isla Palenque resort, and the amazing looking Islas Secas coming in 2019 and luxury travelers have more and more temptation in Panama. 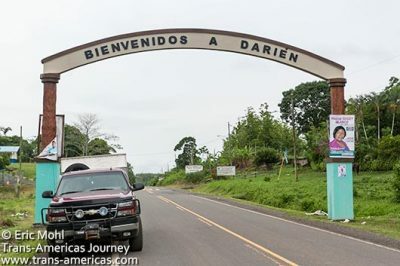 Panama is home to the bulk of the Darién Jungle, a road less stretch of dense vegetation that crosses the border into Colombia but makes it very hard for humans or vehicles to do the same. 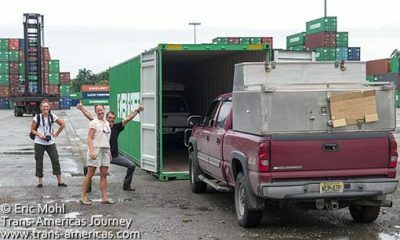 That’s why one of our biggest adventures we had in Panama was the ordeal of shipping our truck from Colon, Panama to Cartagena, Colombia. You may not be able to (easily) drive through the Darién Jungle, which is part of Panama’s Darién National Park, but you can explore the Darién on foot and by canoe and we did just that with a Frenchman who’s been leading tours and doing philanthropic work in the area for years. There were snakes. 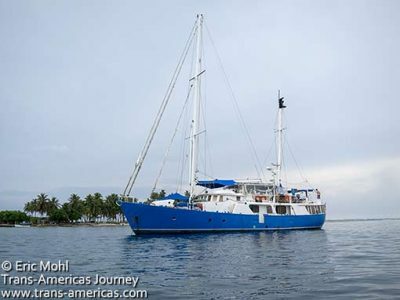 Sailing through the San Blas Islands is a unique Panamanian adventure and the best way for us to get from Panama to Colombia after we loaded our truck into its shipping container. Even if you’re not a bird watcher, birds should be part of your Panama experience. The country is full of birds including resplendent quetzals and more gorgeous little things than we could shake our binoculars at. In Boquete, the birds won’t even let you eat your breakfast in peace. Panama also has an adrenaline resort. Created by extreme athlete Travis Pastrano, Nitro City Panama Action Sports Resort offers facilities and expert instruction in wakeboarding kiteboarding, and BMXing plus a hip resort. Panama has never been a major culinary destination. However, the food scene in Panama City is suddenly heating up—much more so than when we were there. The country’s coffee, including Geisha, continues to impress. Head to Boquete for informative coffee tours to see how the stuff is grown and processed and to stock up on the good stuff as gifts and souvenirs. It’s hard to find quality Panamanian coffee for sale around the country because it’s almost all exported. There’s also a growing microbrew scene in Panama including outstanding brewpubs from La Rana Dorada in Panama City. The Kuna people are the largest indigenous group in Panama and the most visible. You’ll see Kuna women in their distinctive short hair, patterned shirts, and beaded arm and leg bands all around the country. 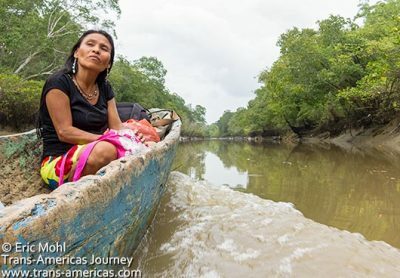 The San Blas Islands (aka Kuna Yala) are home to the Kuna (aka Guna) who live autonomously in Panama. The San Blas archipelago is gorgeous as is the Kuna culture as we learned when we spent time at a Kuna-owned and run hotel in the heart of Kuna country. Frank Gehry says his design for the exterior of the BioMuseo in Panama City came from the bold colors worn by the Kuna and Embera people in Panama. Inside the museum, one of only a handful in the country, displays celebrate the ways in which the world was changed when the Panamanian land bridge formed millions of years ago, facilitating species migration and forming the Caribbean Sea. Most of Latin America goes nuts for Carnival and Panama is no different. Well, it’s a little bit different. 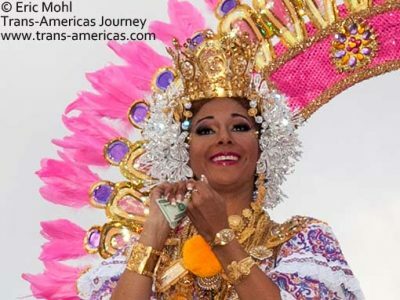 In Panama, two Carnival queens are crowned from rival neighborhoods and they (and their supporters) spend millions of dollars to duke it out for days to see who can parade and prance better. We survived the entire epic Carnival celebration in the small city of Las Tablas, Panama and you can too. An annual celebration of a much more refined kind is the Panama Jazz Festival, which draws big names from around the world. 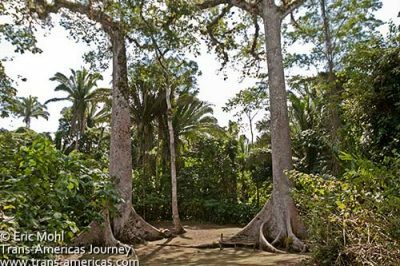 There are only five UNESCO World Heritage sites in Panama and fewer than 10 archaeological sites in the country. Panama Viejo (sometimes called Panama Antiguo) is both and it’s right in Panama City. Here you can see what’s left of the original city established by the Spanish in 1519. Ready for more? 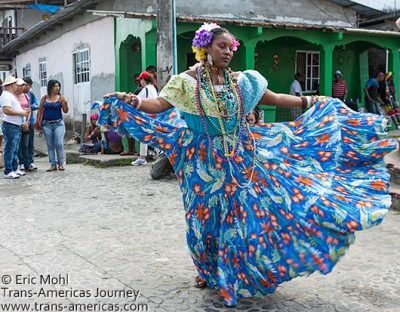 Read all of our posts about travel in Panama.